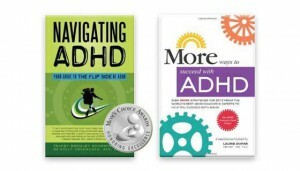 Navigating Executive Functioning | Navigating ADHD Inc. When you look at these skills individually, you can see how a deficit can present a challenge for any child. It’s difficult to get through a school book report if you struggle with time management; with help and support a child can typically meet the deadline and present a great project. When you look at the executive functions as a whole and consider deficits in all of these areas, it is daunting to imagine what it is like for a child at school when a simple homework assignment is given. Mrs. Bently completes her history lesson and directs the class to the board where she begins to write down the assignment. John is thinking about baseball practice afterschool and whether or not he remembered his glove. The class carries on and as John walks out the door he hears Mrs. Bently give a reminder about the homework assignment. Surprised, he feels a moment of panic like he missed something important and then quickly forgets it and walks to his next class. Later at home, John’s mom asks him what he has for homework and he says he doesn’t have any. Exasperated, his mom tells him she is certain there is homework and is frustrated that this kind of “forgetting” seems to happen frequently (Challenge: Working Memory). He says he never forgets his homework and has turned everything in this term (Challenge: Working Memory and Self-Monitoring). He and his mother look at the school’s online educational tool and learn that he is missing 5 assignments and there is in fact a history term paper due next Friday. John becomes instantly angry and yells at his mom for always “being on his back” and rants about his teacher who forgets to assign things and then punishes them if they forget. John’s mom decides to let him cool down and addresses it after he returns from baseball practice. He is considerably happier and is ready to look again at the assignment. He stares at the computer screen for 30 minutes and doesn’t begin to type even one letter (Challenge: Initiation). Frustrated by what appears to be lack of effort, his mom sits down with him and creates an outline and calendar for him to begin his project. (Challenges: Organizing Thoughts and Materials, Time Management). Over the next week, John glances at his calendar when his mom prompts him to and puts off the work for later in the day (Challenges: Procrastination, Planning and Prioritizing). As the due date looms closer, John is no further than he was the day the assignment was given. He erupts into a panic driven rant aimed at his mom who is still trying to help him. (Challenge: Emotional Control). Once calm, John and his mother recalibrate the calendar so he can complete the assignment on time (Challenge: Time Management, Planning and Prioritizing).The final days before the assignment is due involves frequent reminders from his mother and several frustrating arguments (Challenge: Initiation, Emotional Control). The night before the assignment is due, the final touches are added to the assignment and as he is about to print it out, John realizes his printer is low on ink. Feeling at a loss, he gives up and slams the door to his room (Challenge: Planning, Emotional Control). John’s mom once again waits from him to calm down and offers him two different solutions. He can email the paper to the teacher and explain the situation or she will wake up early and buy ink before he even has to be at school. John finally decided to email the teacher and goes happily to school as if everything has been great all along. His mom is left feeling shell shocked, exhausted and fearful of the next long term assignment because she knows it will likely be the same scenario filled with wasted time, effort and emotion. This example of John and his mother illustrates that executive functions effect nearly every aspect of a person’s day. When there are deficits to this area of the brain, simple task and assignments can be daunting. The key is to teach strategies for each and every executive function where a challenge is presented. When the strategy is practiced over time the repetition helps the strategy stick in the brain. This is good news because once a strategy is learned, it lasts a lifetime. The strategy will likely follow the child throughout school, college and his or her career. The most important aspect of this journey is for you and your child to fully understand executive functioning. This is not about being lazy or trying to “fix” a child, it is about creating pathways in the brain for this skill set. Please visit this blog again as we will be offering strategies on the second and last Wednesday of each month. Strategy #1 Educate yourself on executive functioning. Share what you learn with your child so he or she can grow levels of self-awareness. When you and your child realize there are ways to build these skills and it isn’t about a lack of effort there will be an instant feeling of relief for you both!